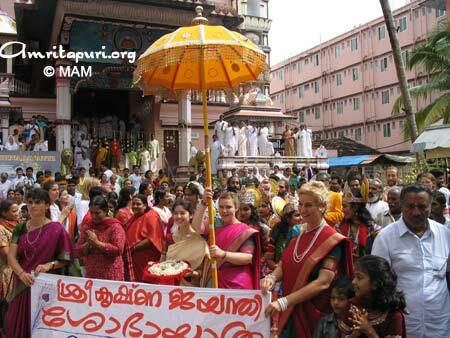 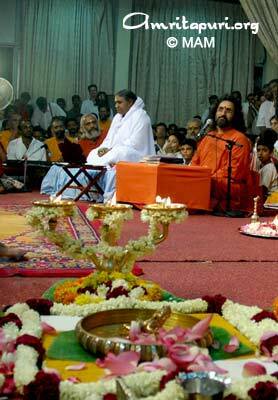 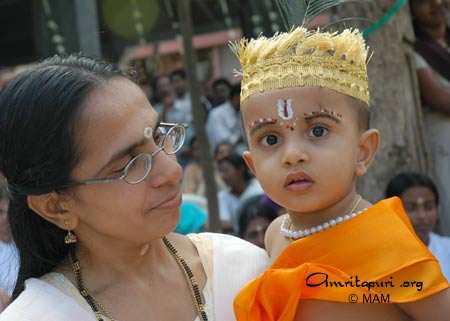 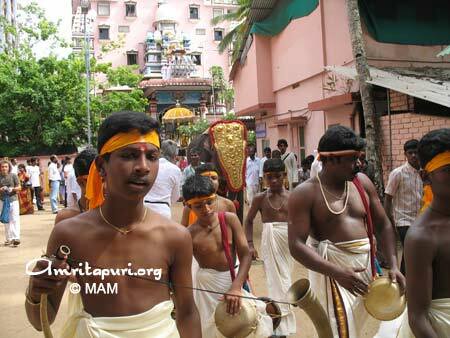 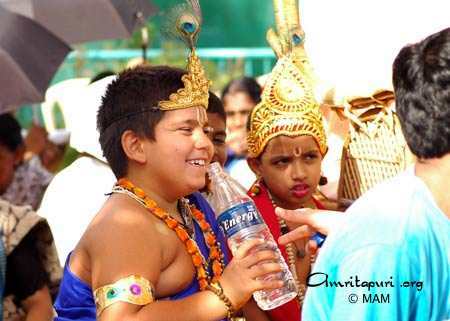 Looking around Amritapuri, the culture-transcending allure of Sri Krishna was abundantly evident. 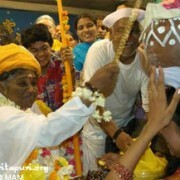 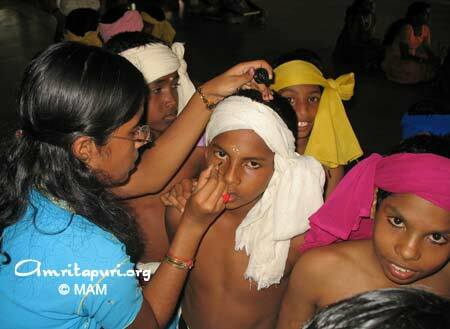 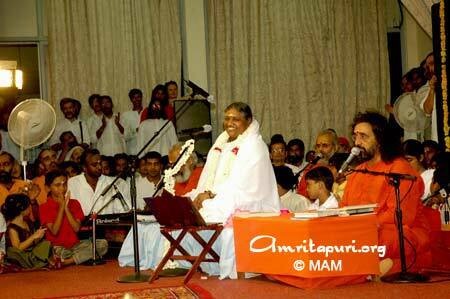 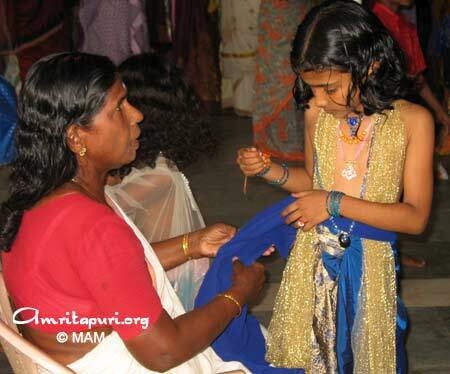 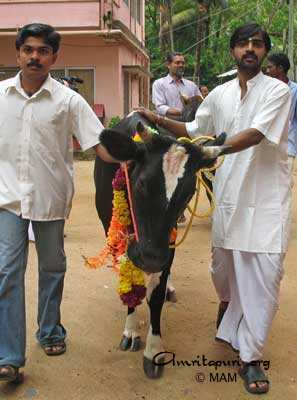 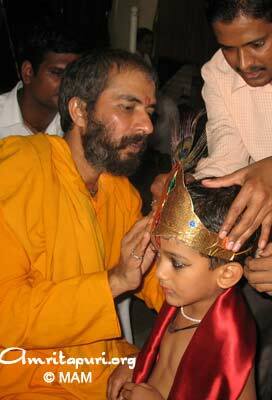 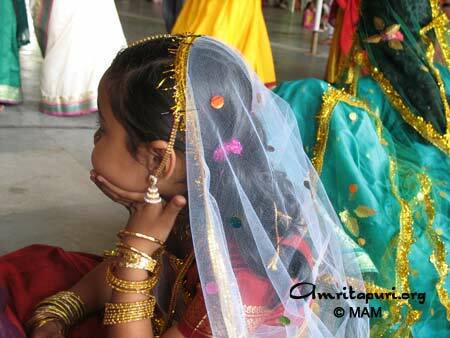 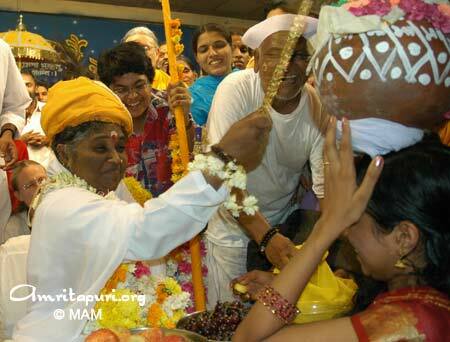 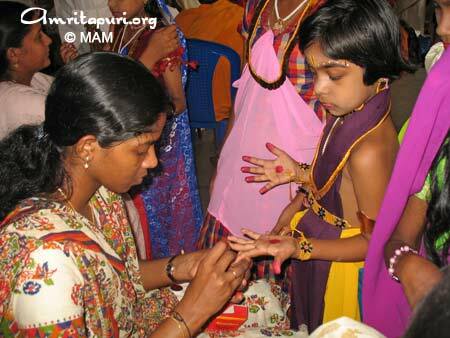 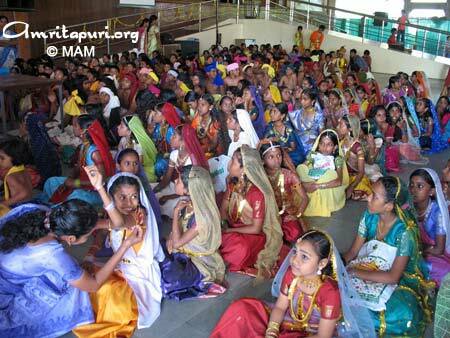 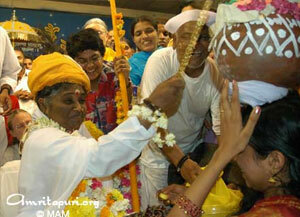 The ashram was full of people of all lands and walks of life celebrating Krishna’s birth and life. 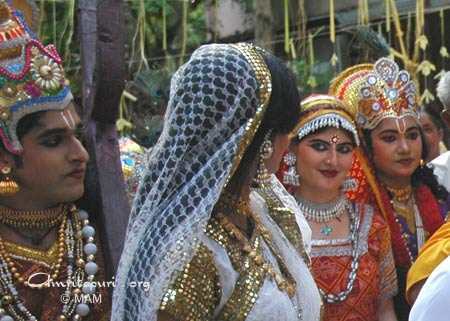 And virtually everywhere one looked there were children of all nationalities dressed up as gopis, gopas, Radhas and Krishnas. 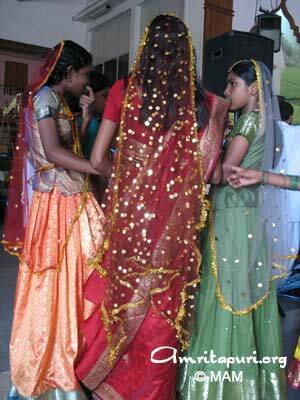 Amritapuri has been transformed into a sea of colourful saris and swaying peacock feathers. 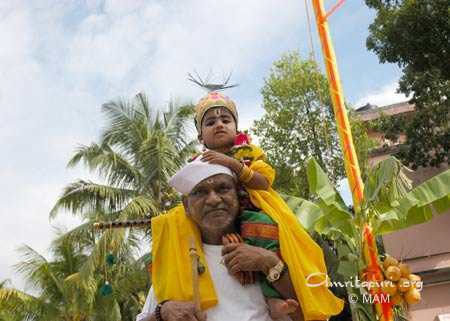 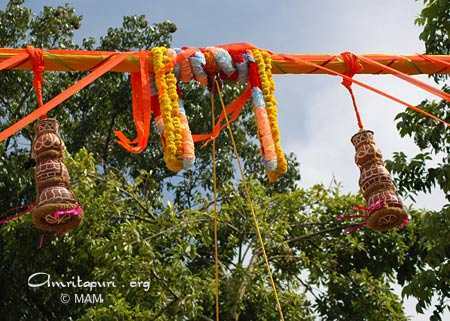 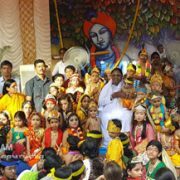 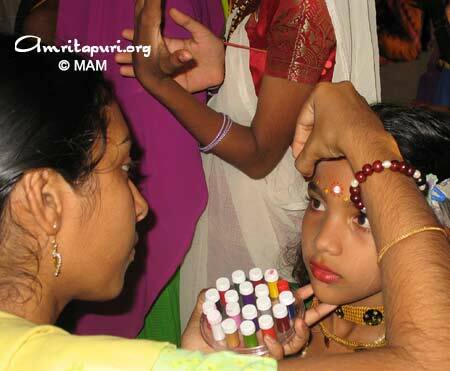 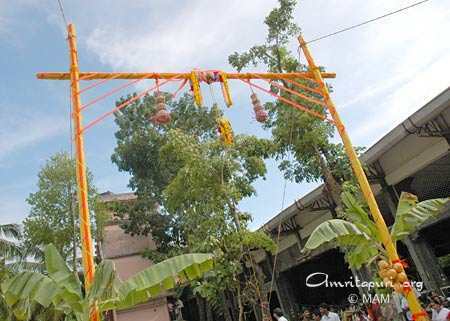 The children soon formed a procession, walking through the ashram and out into the surrounding villages—the jingle of their anklets adding to the joyous noise of their drums, horns and tambourines. 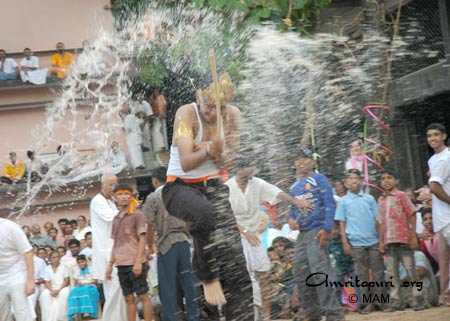 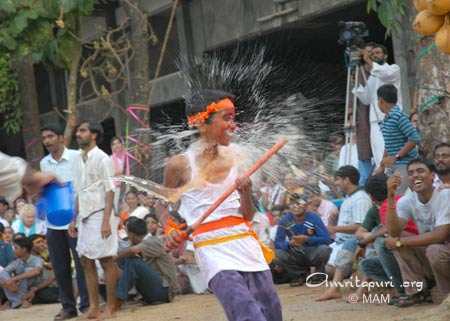 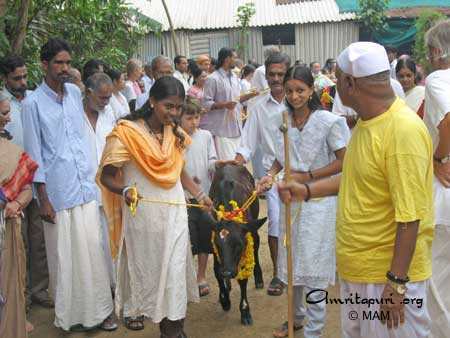 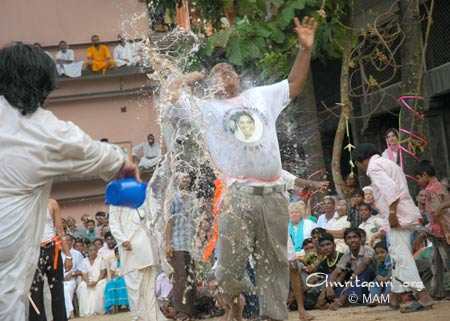 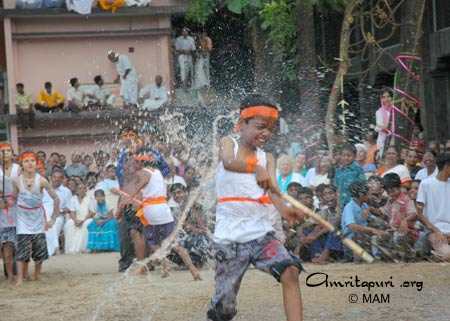 Upon their return, the uriyadi [pot-striking] games began, and Amma and all the ashram residents came to watch as the children tried their best to smash open the clay pots for candy and coins. 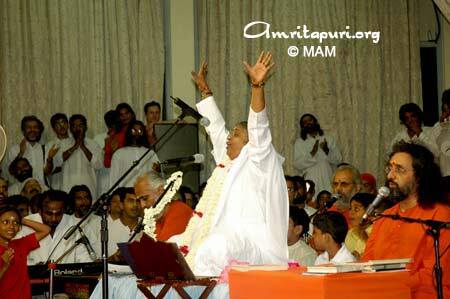 At the end of the games, Amma burst into song, singing “Hari Bol Hari Bol!” When the song reached its climax, Amma cried out “Hari Bol!” and pointed her index fingers to skyward, a terrific smile spread across her face. 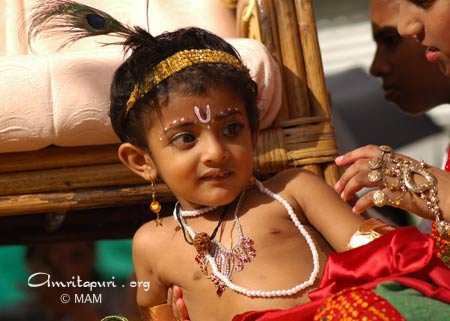 The actual time of Krishna’s birth was marked with the recital of his birth story. 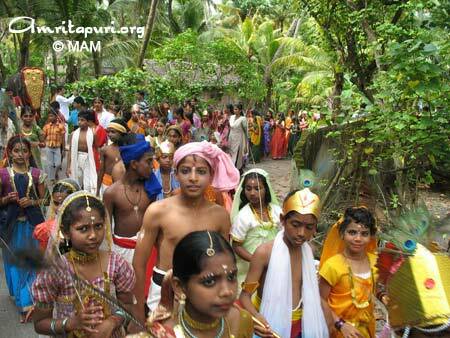 The lines from the Malayalam Srimad Bhagavatam were sung with true pathos, piercing everyone’s heart. 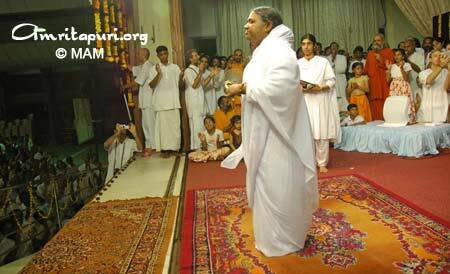 Surrounding the lone voice was a pin-drop silence. 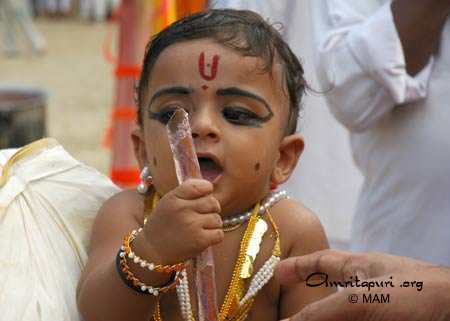 Towards the end of the reading, puja was offered to a small idol of baby Krishna. 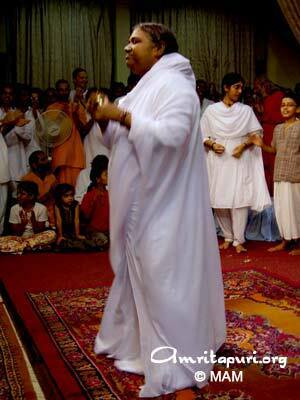 Amma also glorified the devotion of the gopis, saying how it is their love for Krishna that is remembered over anyone else’s, even though they were with Krishna for a relatively short amount of time. 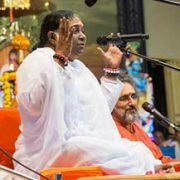 To illustrate this point, Amma told a story wherein the gopis were able to remember the precise details of every single interaction they had ever had with Krishna, no matter how long before it had transpired. 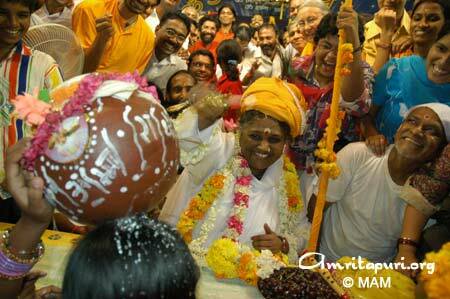 The evening ended with Amma distributing sweet payasam for one and all. 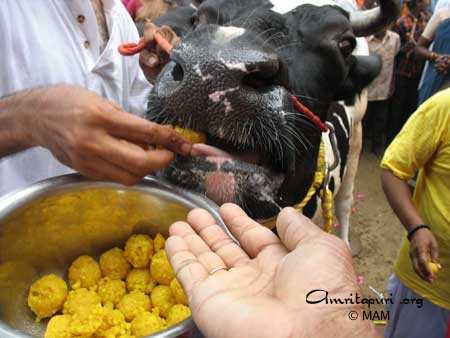 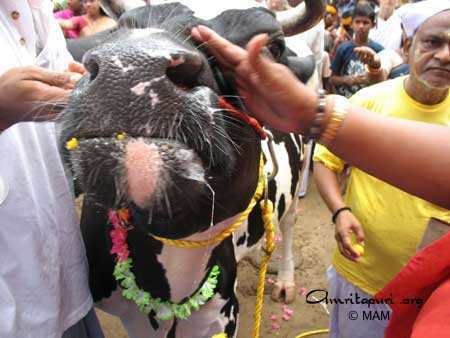 It was then that a devotee offered Amma with the opportunity to play some uriyadi of her own, presenting Amma with a stick and a couple clay pots of butter and curd. 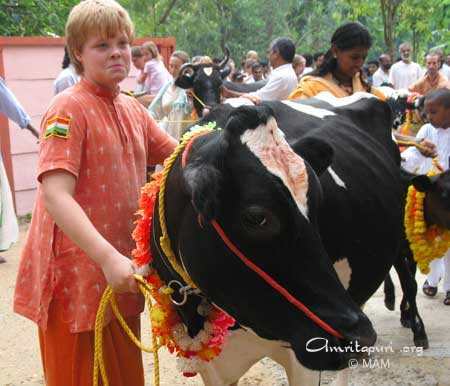 But he allowed Amma to break open the pots, he wrapped her head in an orange turban, transforming her into the cowherd Krishna of Vrindavan.